A MURDER convict spared the gallows in 2013 but living in suspense while the prosecution pressed for the death penalty, learnt yesterday that he would not be hanged after all, when the prosecution withdrew its appeal. Chinese national Wang Wenfeng (photo), who was convicted of murdering a taxi driver in 2011, fell to his knees, beaming, and pressed his palms together in gratitude to his lawyer. The prosecution said that it had carefully reviewed Wang’s case in the light of a judgment on when the death penalty should be imposed, after the law was changed in 2013 to give judges the discretion to opt for a life sentence in certain cases instead. In January, a five-judge Court of Appeal made a landmark ruling that the death penalty was warranted in cases where the offender had acted in a way that would “outrage the feelings of the community”. Such a person, who “exhibits viciousness or a blatant disregard for human life”, would outrage the feelings of the community, and hence deserves the death penalty, the court ruled, in setting out the test for determining when the death penalty was warranted. In that case, the accused, Jabing Kho, had brutally bludgeoned a construction worker with a tree branch. In Wang’s case however, the level of brutality against his victim, 58-year-old Yuen Swee Hong, could not be assessed as the body was highly decomposed by the time it was found. 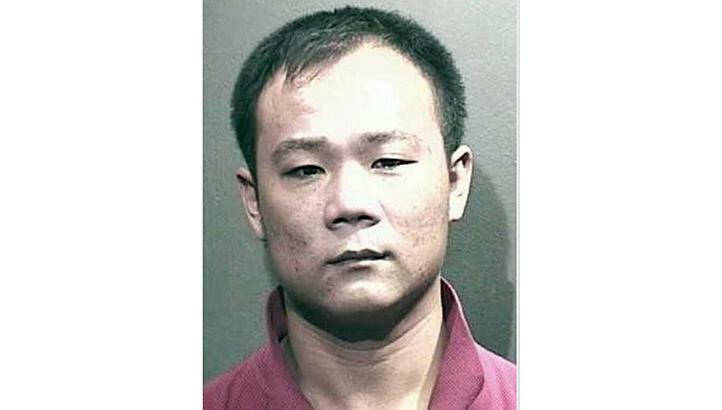 In September 2011, Wang, an odd-job worker, was given the death penalty – then mandatory for murder – for fatally stabbing Mr Yuen inside his taxi in the early hours of April 11, 2009. Desperate for cash, Wang had intended to rob the cabby. When the taxi arrived at his destination near Sembawang Park, Wang placed the knife over Mr Yuen’s chest and demanded money. The cabby was stabbed in the ensuing struggle. Thinking he was dead, Wang carried his body into the park. Wang was arrested two days later, and four days afterwards, he led police to Mr Yuen’s body, which was so badly decomposed that an autopsy could not ascertain the cause of death. In November 2013, Wang was re-sentenced to life in prison and 24 strokes of the cane. The prosecution, which had pressed for a death sentence, filed an appeal. Yesterday, Deputy Public Prosecutor Eugene Lee said that the brutality of Wang’s attack could not be assessed. Comparing the two cases, the DPP noted that unlike Kho’s premeditated attack, Wang had injured the cabby in the course of a struggle. Wang’s lawyer Wendell Wong said that his client would treasure the life he had been given. According to Singapore law, a life sentence means the natural life of the convict. Which means he will die in prison.